Ben Stiller‘s impersonation of Joaquin Phoenix will certainly be one of the time-capsule moments of this Oscar broadcast; but, seriously, was it funny? I didn’t laugh. 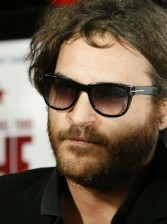 Is Joaquin Movie A Big Ole Hoax? During this segment, I went to check on my burrito.